Above is a growing playlist of our MAS TV showcase performances. Click in upper left corner of YouTube window to access playlist. Please email us for additional information about SongCasters. 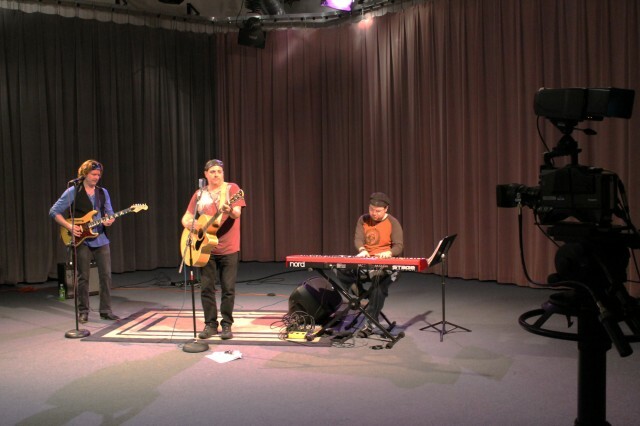 Watch MAS Performing Songwriters on TV and YouTube! Obviously, MAS also benefits from the Minnesingers program and the SongCasters show because they bring new members to our ranks. Minnesingers and SongCasters also provide MAS with opportunities to engage interested members in volunteer activities. Each month MAS members, either solo or with their bands, tape individual sets of original songs. All songs from the taping sessions are placed in a pool of music from which songs can be drawn to edit into each episode of SongCasters. The format of those episodes typically consists of six to eight members performing one of the songs captured at their taping session. Episodes of our video showcase program are being aired on 36 public-access TV channels serving over 300 cities in seven states (CA, MA, MD, MN, MO, ND and WI). Nearly five million people currently have access to original music by MAS members! We originally planned a specific number of 30-minute programs for CATV channels; however, with new-member and "return-appearance" sessions, we see no end to this project. We have original-music programming ready for use by public-access TV program directors anywhere in America. Most networks have scheduled us on consistent days & times each week, so you can mark show dates on your calendar. Be sure to tell your local friends to tune in. No matter where you live in the USA, if you have public-access TV in your town, MAS can provide episodes for airing on your local station. Contact us with information about your station by emailing info@mnsongwriters.org! We love hearing directly from stations that are interested in our TV show!